Datanauts 138: What’s Up With Ethernet Fabrics? Today’s Datanauts episode delves into the current state of Ethernet fabrics with guest Stefan Fouant. Our guest today is Ned Bellavance. We pick Ned’s brain about infrastructure as code and his hands-on experience with HashiCorp’s Terraform. On this episode of Datanauts, we chat with Brandon Olin, the creator of PoshBot, a PowerShell based chatbot for ops teams. What does PoshBot do? How was PoshBot built? How do chatbots impact Brandon’s delivery model? The Datanauts explore edge computing, including a working definition, use cases, issues of locality and latency, and the infrastructure that drives edge computing. Our guest is Alex Marcham. On today’s sponsored episode we explore HPE InfoSight, an AI-driven cloud service that helps predict and prevent problems that could affect Nimble Storage arrays and other HPE products. HPE is our sponsor. Today on the Datanauts: the job hunt. We break down the process to understand and optimize it with guest Doug Lane, who’ll share his own experiences on a recent career transition. Today on the Datanauts we explore why and how you should test your scripts. Our guest is Adam Bertram, an automation engineer working with PowerShell and other DevOps tools and author of The Pester Book. Today the Datanauts talk about why mentorship can lead to IT mastery and how to get past objections from experts who don’t want to share their knowledge. The Datanauts and guest Eric Gullickson dive into the good, bad and ugly of the life of a VAR from people who have lived it. Kelsey Hightower beams aboard the Datanauts starship to discuss the latest evolution of Kubernetes, serverless, and the wild new world of application design. 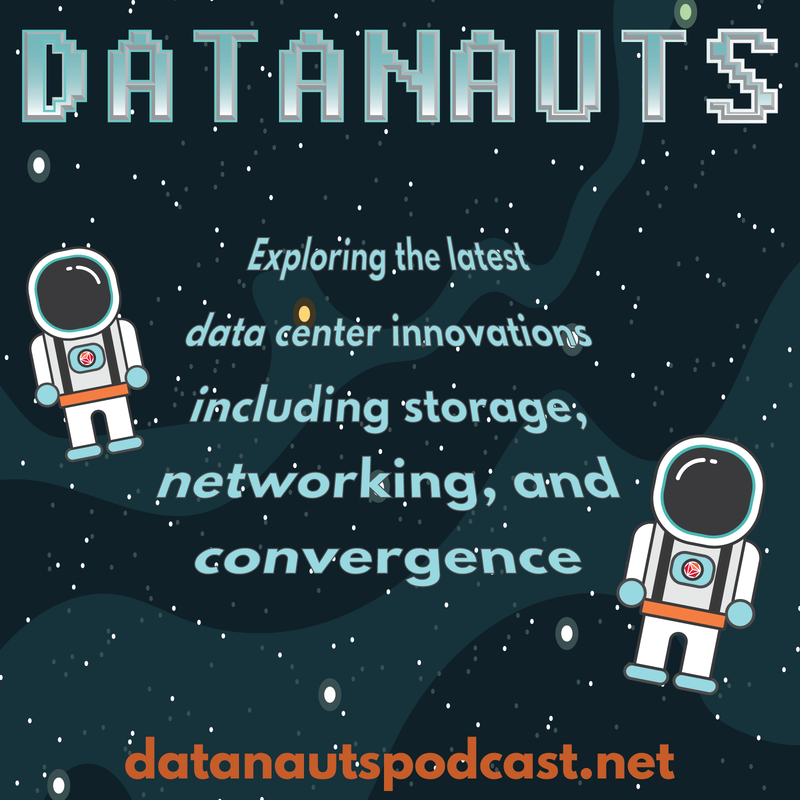 Stephen Foskett beams aboard the Datanauts starship to talk about what’s new in storage, including for containers and cloud, plus cogent career advice. Is security gamification a useful tool for training security talent, or just a gimmick? The Datanauts dive in to explore this issue. Our guest is Evan Dornbush. Can you run a secure infrastructure without firewalls? Today on Datanauts, we make the case for this idea with guests Nick Buraglio and Jon Zeolla. The Datanauts delve into application security with sponsor VMware. We discuss VMware’s AppDefense software, how it works, and why we need a new model for security. Today the Datanauts explore the worlds of consulting and VARs, and their customer focus areas, including data center transformation and certifications. Our guests are Jason Nash and Josh Coen. The Datanauts dive into the notion of the full stack engineer–an IT pro who can work across every layer of the infrastructure. Our guest is Tom Vachon. Whitebox networking hardware and open source software are challenging incumbent vendors and demonstrating new operational models for network engineers. The Datanauts and guest Peyton Maynard-Koran discuss the implications. The Datanauts dive into SQL Server and database architectures, as well as how infrastructure ops and DBAs can work better together. Our guest is Mike Fal. The Datanauts dive into VXLAN networking with guest Lukas Krattiger. We explore how it works, discuss use cases, and examine how hosts inside a VXLAN network communicate with end points on the outside. The Datanauts discuss securing print infrastructure with Michael Howard, Chief Security Advisor, and Jason O’Keeffe, Print Security Advisor, at HP. Today the Datanauts we talk unikernels and IncludeOS with guest Per Buer. We discuss how unikernels differ from a traditional OS, advantages and tradeoffs, and unikernel use cases.